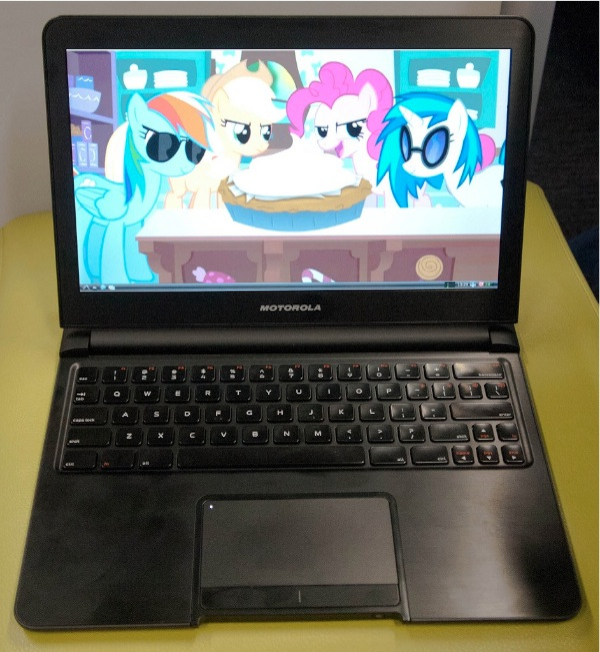 laptop006: Crust, my Raspberry Pi laptop #piday #raspberrypi @Raspberry_Pi « Adafruit Industries – Makers, hackers, artists, designers and engineers! 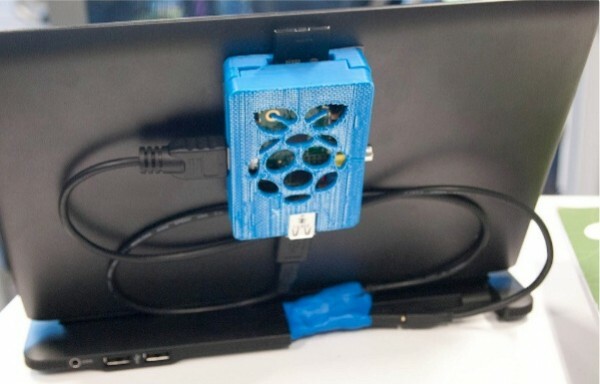 This weeks project was building a Raspberry Pi laptop. Inspired by other’s early attempts and the new v2 boards that are designed to allow reverse power feed from the USB host ports (saving the need to hack up USB cables), and the cheapness of the Motorola LapDock’s on eBay (mine was 3D printed case (Thanks to Jan at work who has a makerbot at his desk, and responded to my my “hey would someone consider helping me with this” with “I’ve done a test print, come try it!”), and that case is simply attached to the outside screen portion of a Motorola LapDock (the early Atrix version) which I purchased on eBay for less then a hundred dollars shipped. I did remove the dock part of the lapdock to achieve a more solid design, and then used Sugru to make the connectors and cables into one solid unit.